24th April 2016. 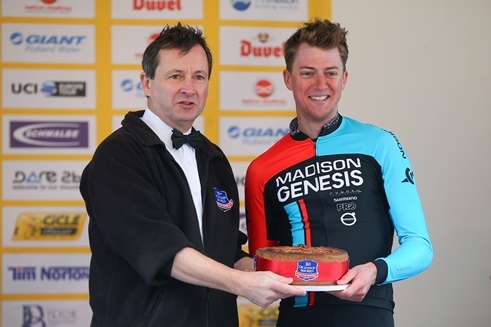 CiCLE Classic 2016.Stephen Hallam presenting Tim Stewart from Team Madison Genesis with his superb prize for being the first rider into Melton Mowbray. Entirely appropriate that its Pork Pie!